Award-winning band 2002, a favorite on Billboard's charts, delivers a new collection of timeless songs from ancient lands, adding young daughter to their signature sound. Singing in three languages, Sarah Copus takes 2002's stunning soundscapes to angelic heights. 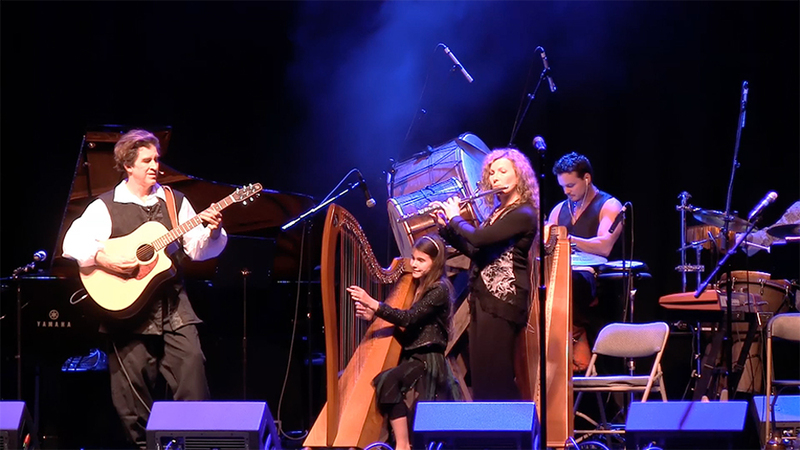 Award-winning progressive new age band 2002 is thrilled about their new album, Celtic Fairy Lullaby, because this ‘First Family of New Age music’ now includes young daughter Sarah Copus. 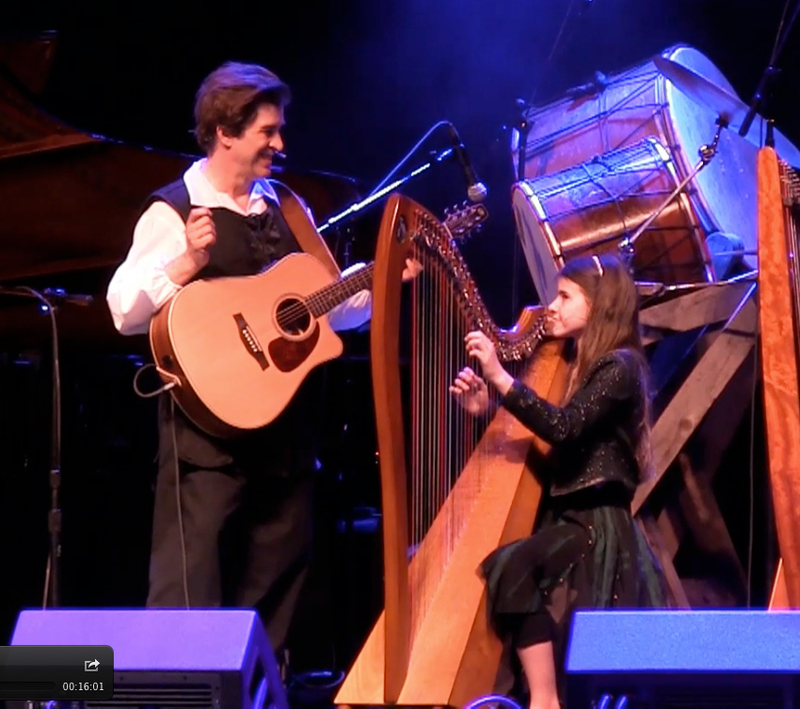 At 11 years old, Sarah is the lead vocalist, singing in Gaelic, Welsh and English, and also playing harp and violin. 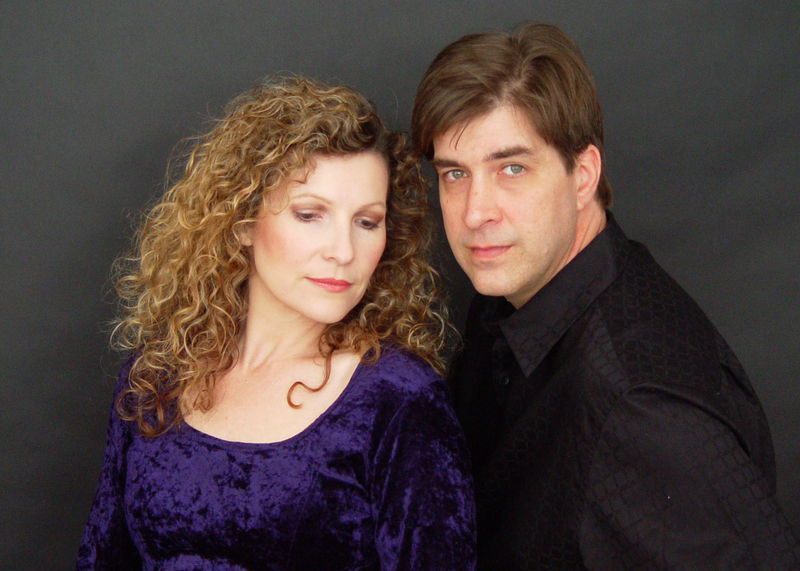 2002’s founding members, multi-instrumentalists Pamela and Randy Copus, couldn’t be more proud of Sarah who’s already being compared to Enya and Loreena McKinnett. For over 24 years, 2002 has uniquely blended a wide range of genres, from wistful ambient soundscapes to light progressive rock. Their daring blend of musical styles has given them an undeniable “signature sound” which has landed them on Billboard’s charts 11 times and topped Billboard’s ‘Year In Review’ issue alongside Yanni, Mannheim Steamroller, Jim Brickman and George Winston. Releasing on February 19th on Galactic Playground Music, Celtic Fairy Lullaby is a collection of timeless songs from ancient lands. Harps, flutes, piano, and subtle orchestration accompany delightful lyrics in Gaelic, Welsh and English. The 12 mesmerizing songs are soothing and nurturing, perfect for relaxation, sleep and meditation. When Pamela and Randy met in their high school theater department, they couldn’t have imagined that after exploring a variety of musical styles, instruments and bands, they would ultimately form their own band. Originally, the zeros in “2002” were infinity signs, with the “twos” on either side representing the young couple flanking infinity. Difficult to type and pronounce, the band’s name evolved into “Two Thousand Two” but the significance remains. Representing the pinnacle of progressive and Celtic new age sound, 2002 has been steadily increasing their use of vocals and percussion, infusing elements from pop, folk and rock into their ambient/neo-classical roots. 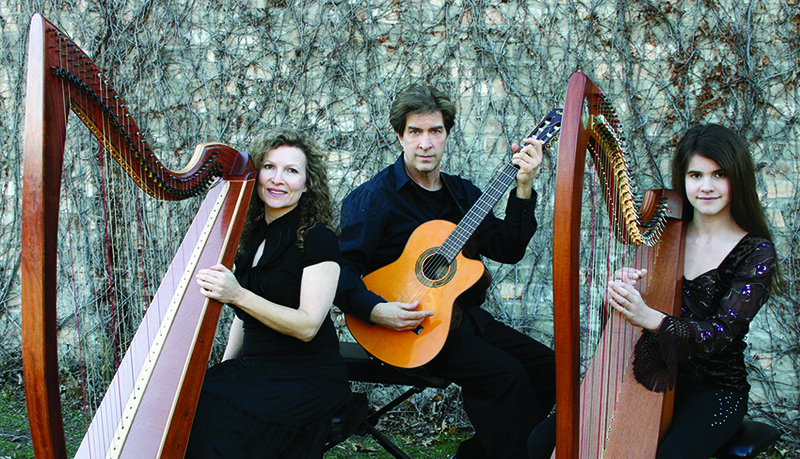 Randy plays piano, guitar, bass, keyboards, and percussion, and Pamela plays harp, flutes and keyboards. 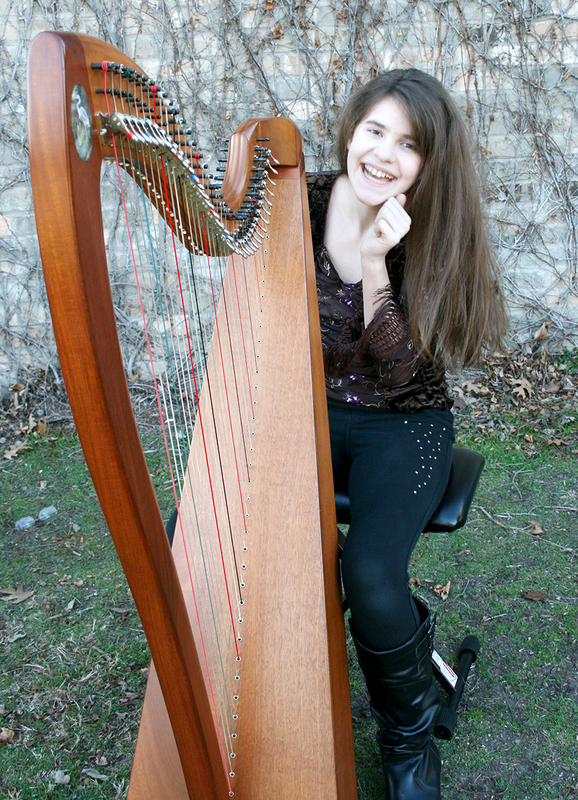 An accomplished harpist and violinist, young Sarah also plays flute, whistle, ukulele and piano. More impressive is that she’s already creating the harmonies and much of the vocal arrangements. "I love how we musically blend as a family,” says Randy. “Every time we go on stage to perform, I see those two lighted-up, electrified harps front stage, and I’m reminded again of what a unique act we’ve become. When we sing our big vocal harmonies together, the energy we experience is difficult to describe… it’s as though the notes are glued together with love!" The Copus Family is very active on the Texas music scene. Sarah is one of the founding members of North Texas School of Irish Music’s Gaelic Youth Chorus, and even has her own Celtic youth band, Innisfall. 2002 has additional recordings scheduled for 2016 and plans to add more performances throughout the US this year. With albums like Land of Forever (1998 - 54 weeks Billboard’s new age chart) and River of Stars (2000 - 74 weeks on Billboard’s chart) and This Moment Now (2003 – COVR Award for Best New Age Album), the music industry eagerly awaits the release of Celtic Fairy Lullaby and more from this talented family, that is 2002. For more info on 2002 go to http://www.2002music.com and follow them on Facebook and Twitter. Randy, Pamela and Sarah Copus are available for interviews. 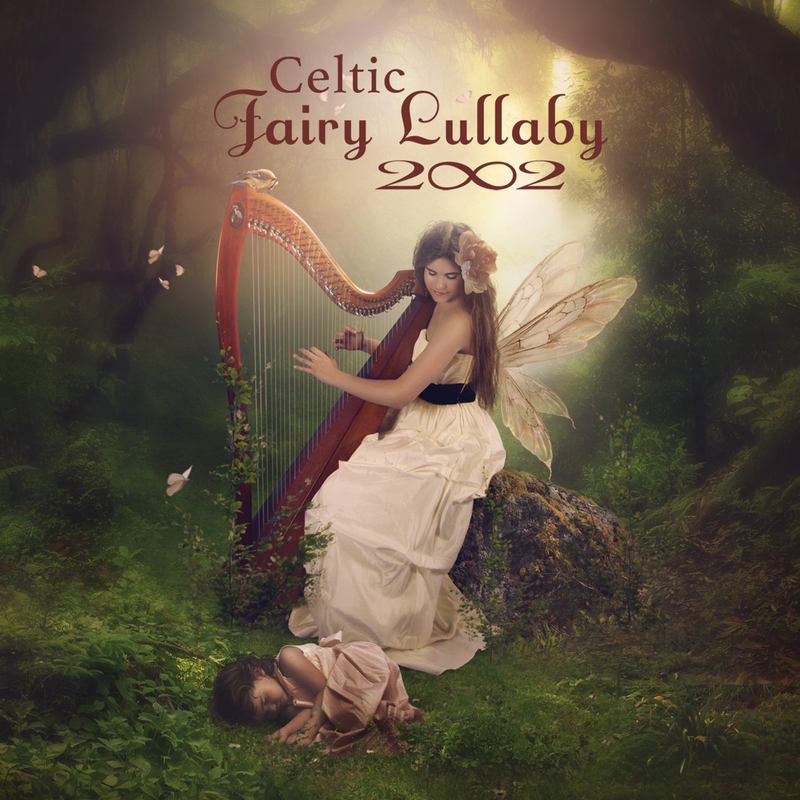 "Celtic Fairy Lullaby is the eagerly awaited new release from the award-winning group 2002, one of the world’s premier new age music ensembles. 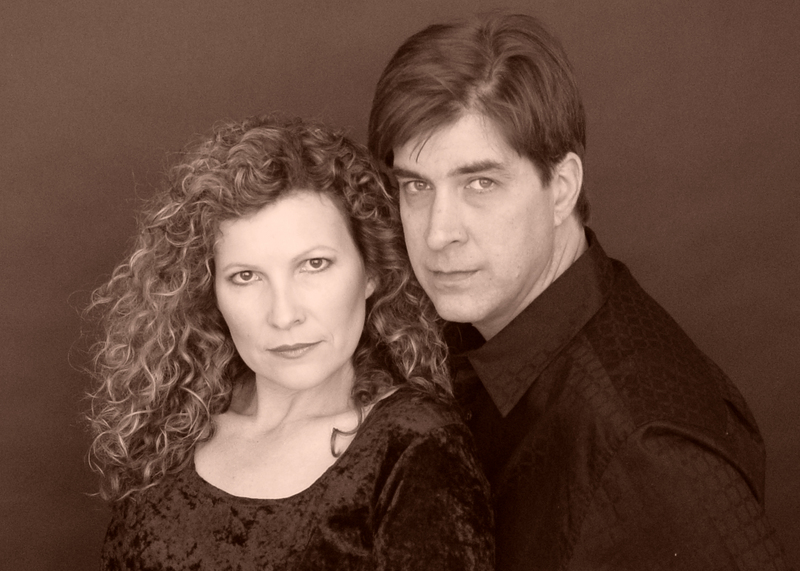 While husband and wife Randy and Pamela Copus have produced many albums as a duo, their last few releases have featured their daughter Sarah in supporting roles. Now at the age of 11, Sarah, who is truly a rising star, shines in the spotlight as the lead vocalist, as well as on harp, in this enchanting collection of soothing ancient melodies. As always, the album’s production is superb; enhancing the lush soundscapes the group is so well known for. Fans of Enya, Loreena Mckennitt, and Clannad will find a lot to like in the magical music of Celtic Fairy Lullaby."